Duracell is the world's best-selling alkaline battery, and the overall #1 in portable power by global revenues. In the US it is the dominant alkaline brand with sales of around $1bn, equivalent to 45% share, compared to 33% for main rival Energizer and around 13% for Spectrum Brands' Rayovac. It is best-known for its flagship "coppertop" range, but also produces even more powerful premium range Duracell Quantum (in the US, but branded as Duracell Ultra elsewhere), as well as a wide variety of other formats and portable power products including auto jumpstarters. The main obstacle facing all alkaline brands is the need to persuade customers to upgrade from lower-priced but less powerful zinc carbon batteries. Duracell's relaunch of its main coppertop range in 2001 led to a brutal price war with zinc carbon competitors which tore away margin from all brands. Significantly Duracell found that its "Lasts Longer" claim had little effect on American consumers. Instead, it has made trustworthiness and reliability the main focus of marketing ever since. In other markets, the "Lasts Longer" concept proved more effective. Indeed, global competition between Duracell and Energizer has been heightened for decades by their battle over the shared advertising mascot, the "longer lasting" battery-powered pink bunny. This was created by Duracell in 1973, but the company failed to renew its trademark in the 1980s, and the idea was stolen by Energizer. A truce was signed in 1992 whereby Energizer would use the bunny in North America, while Duracell retained international rights. However, the growing availability of imported bunny-branded Duracell batteries in the US has led to a renewed legal battle. The business has passed through several hands since the Duracell brand was first introduced in the mid-1960s by battery manufacturer PR Mallory. In the early 1980s it was even owned for a while by food company Kraft. It was acquired in 1996 by Gillette, which was itself bought nine years later by Procter & Gamble. However the battery business was clearly an uncomfortable fit within P&G's overall portfolio. In 2014, P&G agreed to sell Duracell to Warren Buffett's Berkshire Hathaway group for a net total of around $2.9bn. The complex deal finally completed in early 2016. In the year to June 2015, its last under P&G's ownership, Duracell reported worldwide sales of $2.2bn. More recent figures are not available. Adbrands Daily Update 4th Apr 2019: Wunderman Thompson got a big moral boost from its first major global win as a merged entity. Following a review, Duracell moves its entire global creative account to the agency, in all markets except the US (where the business remains with Wieden & Kennedy). 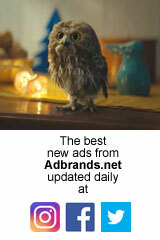 “Wunderman Thompson was outstanding in their pitch," said Duracell CMO Tatiana Vivienne Jouanneau. "They were joyful and we immediately felt the chemistry was right." The agency reportedly fought off a challenge from 10 other agencies. The only fly in the appointment, at least for parent WPP, is that the account transfers sideways from another group company, Grey. Adbrands Weekly Update 20th Nov 2014: Procter & Gamble found a buyer for its Duracell battery business in the form of billionaire investor Warren Buffett. He has agreed to take over the standalone business from P&G for a net value of around $2.9bn. The deal is to be structured as a slightly unconventional but highly tax-efficient asset swap. Buffett's Berkshire Hathawayholding company already holds a shareholding in P&G, which it inherited when the packaged goods giant engulfed Gillette - a longtime Buffett favourite - for stock. It will surrender these shares, worth $4.7bn at current prices, back to P&G, which will in return inject $1.8bn in cash into the Duracell Company as a parting dowry. As a result, both companies avoid a sizeable tax penalty that would have been generated by a straight sale of assets. However some investors flagged up the deal as a vote of no confidence by Buffett in P&G itself, in that he would rather own a small maker of alkaline batteries than have shares in the world's biggest, but slightly challenged, packaged goods giant.